Surgery is not a common treatment for snoring and sleep apnea. For pediatric sleep disordered breathing Adeno-tonsillectomies are very effective and are highly recommended along with functional orthodontic treatment. For snoring, surgery of the soft palate has been an option in the past. This involves tightening and trimming of soft tissues in the throat. Even after surgery, there are many side effects such as severe pain and studies show that surgery is only 30-50% effective in eliminating snoring. Other possible side effects include regurgitation of food and altered tone of voice. Hence surgery is now a seldom recommended treatment for snoring. It is also important to understand that soft palate surgery only targets snoring – it is not a treatment for sleep apnea. For sleep apnea, surgery is rarely advised due to its possible side effects of varying severity. Surgical treatments include tongue reduction and jaw advancement surgery. Weight Reduction Surgery can be very helpful in cases where obesity is thought to be an important factor for sleep apnea. If you are overweight, weight reduction may improve your snoring or sleep apnea. Gaining weight deposits fat in and around the tongue, soft palate and neck structures thereby reducing the passage of the airway. Hence weight loss by means as advised by the doctor can reduce these fat deposits and ensure larger airway size in turn reducing snoring and also sleep apnea. An ideal sleep position involves elevating the head of your bed and limiting sleeping on your back. Alcohol and many sleeping pills help relax the muscles of the throat but can worsen sleep apnea and snoring. One must also avoid alcohol at least three hours before bedtime. Smoking can also increase snoring and sleep apnea due to swelling of the nasal tissues. Regular practice of Pranayama, Surya Namaskar and other yoga techniques will help improve breathing to a great extent and is helpful in maintaining an ideal weight. Relaxation techniques like meditation, Mindfulness Based Stress Reduction etc. will aid to reduce stress and improve quality of sleep. There are other treatments offered on the internet and in stores which include sprays, nasal strips, rings, pillows and the buteyko breathing technique. These techniques are ineffective, unproven and generally not recommended by sleep specialists and doctors, with some also being the subject of ACCC investigations. Buteyko: This is an unproven remedy to treat snoring and sleep apnea. It involves refraining from breathing through the mouth and try breathing through the nose. There is no scientific evidence which indicates that this method is effective in treating snoring and sleep apnea and is hence not being recommended by sleep physicians. 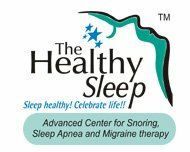 There is a growing concern that this technique is being proclaimed and advocated for potentially serious conditions such as sleep apnea and snoring as an alternative to effective, safe and successfully proven treatments. Nasal Strips: They give a subjective feeling that the nose is clearer and may help if the nostrils are small, but overall their efficacy is not impressive and they are of limited value. Choice magazine reviewed most of the “over the counter treatments” for snoring and this review was carried out by a team of sleep physicians who concluded that most of the treatments were unsafe, unproven and highly ineffective. These included various medications, sprays and pillows. While avoiding caffeine and weight loss, laying off from nicotine and alcohol prior to bedtime can be very helpful, dental sleep appliances undoubtedly are the gold standard for immediate and long term elimination of snoring.